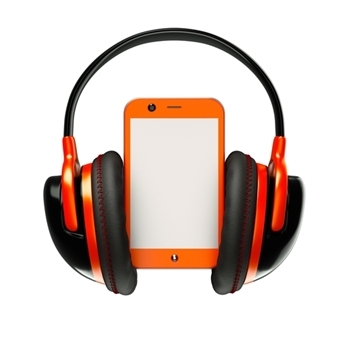 6% of Americans over the age of 12 listened exclusively to online radio in the past week. The growth of podcast outlets and overall distribution (Apple’s iTunes app just surpassed 1 billion subscriptions for podcasts), means podcasting has become a substantial channel where buyers consume digital content. Wait A Minute, What is Podcasting? Before we get deep into podcasting as a content marketing tool, let’s take a step back for our readers that are not familiar. Podcasting represents a digital evolution of radio broadcasting, involving making one or more audio or video files that are released episodically and often downloaded through internet syndication and in MP3 format (but does not include music or movie downloads). Podcasting offers a clear and concise way for marketers and brands to communicate their value proposition to a captive audience. For our on-the-go culture, the on-demand feature of podcasting lets businesses and brands tell their story anywhere anytime, helping them establish authority in their industry and creating brand advocates along the way. While attracting a large audience isn’t immediate, unless you’re a comedian, podcasting can be a powerful medium to communicate a range of ideas, products and information to a niche audience. One of the most outstanding features of a podcast is that it allows people to subscribe. With RSS feed syndication, your audience is alerted when a new podcast is available, eliminating the need to implement a new marketing campaign. You can use podcasting to further engage with your customers and prospects by providing a dedicated email address associated with your podcast so people can respond directly to the content. Then, create an upcoming episode answering questions or addressing feedback you’ve received. Many podcast hosting platforms or aggregators allow comments. You can use that feedback to create new content down the road. In addition, podcasting can easily be integrated under your company’s social media umbrella. Blog posts can be enhanced with podcasts for readers who prefer audio then both can be cross-promoted through various social media channels. When you want to connect with your customers on a more personal level, sound allows the listener to hear the emotion behind the words. Whatever you might have thought about podcasting in the past, it’s back. And it’s booming. Engage with captive audience. Most podcasts are consumed while your customer’s commuting. Build brand awareness. Offering regular long form content keeps people connecting with your brand. Increase community engagement. By socializing your podcast, you can expand your reach by leveraging social sharing functionality. Improve find-ability. Adding metadata opens up avenues to attract new customers or prospects who may be listening to podcasts in your niche. You can increase awareness by integrating your podcasts into blog posts with accompanying text to extend your content reach. Helps with SEO. By distributing through RSS feeds, emails and your blog, others can embed the link on their site and the podcast can easily be shared. Can be hard to track ROI. If you have limited resources for creating compelling content on a regular basis, you’ll lose your audience quickly. It may be difficult to get buy-in from internal stakeholders. You can’t fake enthusiasm. Make sure the person podcasting is passionate. Yarn Craft – YarnCraft is for people who knit, crochet and craft with yarn. They refer to themselves as the “Car Talk” for knitters and crocheters. They broadcast information twice a month to inspire listeners about the possibilities that yarncrafting offers. This podcast is the brainchild of 130-year old Lion Brand Yarn Company, America’s oldest hand knitting yarn brand. Who better to spin a story than a yarn brand! Oracle – Oracle presents the latest happenings in the galaxy of social marketing and social technology. IBM – Listen to IBM information with various syndicated podcasts. Keep up with the latest from business consulting to technology news, from storage and software to information from IBM DeveloperWorks. Marketo – Your weekly destination for all things digital marketing – email, social, web, mobile, search, direct mail – and where it’s all headed. Every week, Marketo’s Digital Marketing Evangelist, DJ Waldow, chats with the sharpest minds in the industry – anyone who thinks, eats, breathes or has a smart point of view about marketing. The BeanCast – Bob Knorpp is a one man podcasting band. He interviews thought leaders, journalists, CMOs, bloggers, authors and more. They gather weekly to have the definitive discussion on the latest news and trends in marketing. He’s used this platform to grow his personal brand, resulting in consulting jobs and a regular fixture on FOX news. Giant Robots – The Giant Robots Smashing into Other Giant Robots podcast is a weekly technical podcast discussing development, design, and the business of software development. The host is joined each week by developers and designers from thoughtbot, a web design firm, and beyond. Review discussions on social media and blogs to discover what your audience may be interested in. Create profiles of typical listeners to inform podcast content. Share your knowledge and enthusiasm for the topic. Do not risk alienating your audience by giving a sales pitch or reading from a script. Stay up-to-date with what your audience is discussing within your subject area. Consistently listening to the social conversation will help uncover questions and hot topics. As with any content piece, think about ways you can repurpose content to create a podcast. If you’ve written an e-book that generated a lot of interest, interview the people you quoted. Check out the competition. You want to differentiate yourself from comparable podcasts. Think of ways you can improve on their format and provide your unique point of view. Length and frequency are dependent on the time you have available to plan, record, edit and promote each episode. Creating quality long form content takes time, so be realistic with your timeline. Once you’ve established a frequency, stick to it or your listeners won’t. Choose a format that’s right for you. This could be a discussion of current industry news and advice, an interview with an industry thought leader or an educational series. Whether the podcast is pre-recorded or broadcast live, once decided on the format, it’s best to remain consistent. Plan your content to keep it dynamic and focused but not so tightly planned that the podcast sounds unnatural. Writing a broad outline as you would if you were giving a speech will guard against reading the script. Include links to other resources that help your listeners research the topic further. Be sure to provide real value in every episode you publish. That way your subscribers will continue to tune in and recommend your podcast to their own networks. Starting a podcast program may not require much money anymore, but the time and effort needed to develop a great podcast is significant. When done well and consistently, however, podcasts can expand your sphere of influence to a highly attentive audience, enhancing your online brand. For additional resources on podcasting, be sure to check out: Cliff Ravenscraft, Podcaster’s Studio. There’s a litany of marketing topic podcasts available, including the Marketing Smarts podcast from MarketingProfs, Content Marketing Institute’s PnR This Old Marketing podcast, and the Social Media Marketing podcast from Michael Stelzner of Social Media Examiner. Does podcasting look like a fit for your content marketing strategy? What are your favorite marketing podcasts? If you like this article and want to learn more about various content marketing tactics, be sure to visit the index of tactics articles here. Nicolette, great article! I absolutely love the idea of providing an email address at the conclusion of the podcast for people to submit questions and then scheduling a subsequent podcast to answer them! I made podcasts a regular part of my marketing strategy in 2012 and have seen very positive results thusfar. I need to take your advice and write more of an outline than a narrative when I speak so it doesn’t sound so scripted. That’s definitely a weakness for me. After researching this article, I am definitely sold on the value of podcasting. When done well and consistently, I believe you can grow an active niche audience that can make a difference to your businesses bottom line and/or your personal brand. Here’s a tip for not sounding scripted: stand up while you’re recording. I did this when I was doing a lot of radio interviews, and it helped with my breathing and pacing. Podcasts are great. I’m a regular consumer. Your article is thorough and well written. Nonetheless, I’ve chosen not to put podcasts in my marketing mix. Not now at least. Why? It is hard to build a podcast audience and keep them coming back. What’s more, my favorite podcasts: The Moth, Planet Money, Leo Laporte, This American Life, Harvard Business Review, all started with a strong non-podcast brand and audience before adding a podcast to their mix. Add to that professional on-air talent and high quality production. Podcasting is easy to do, but very, very, very hard to do well enough to attract and maintain an audience. My believe is that it is easier to build a video channel than a podcast channel. But that is a different topic for a different day. Thanks for your kind words. I agree and disagree; Yes, strong brands have a leg up, but individuals or SMBs trying to break through the clutter have an equal opportunity. They may not have budgets, but they make up for that with sweat equity. Look at what Bob Knorpp with The BeanCast achieved! Well, Isaiah, you got me there! No podcasting in my immediate future, but I did forward this link to people I think would do well with it. Aw okay, I was kind of hoping you would do a few episodes. I do enjoy them, I seem to get more value from them, then when I listen to audio books.